Heavily inspired by the likes of “Shaba Ranks, Buju Banton, Shaggy, Beenie Man, Bounty Killer and many other Jamaican Dancehall superstars. 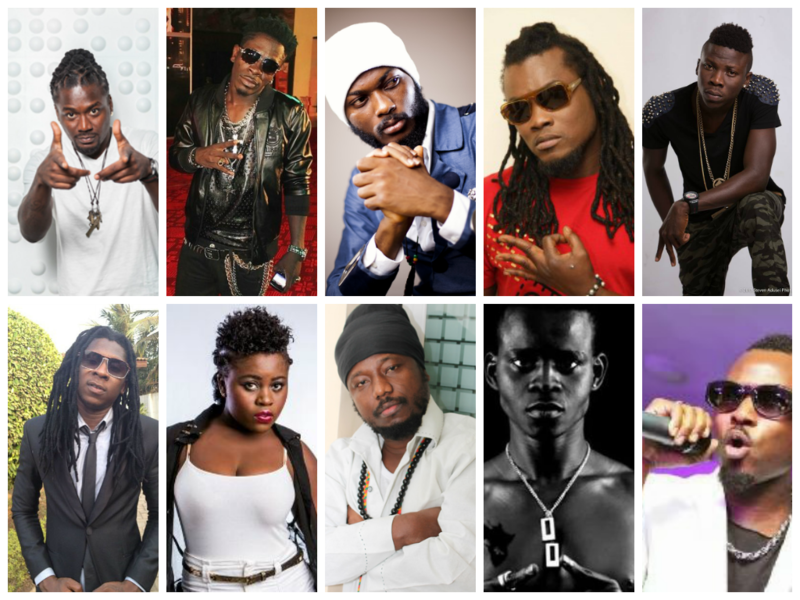 Dancehall has cemented a place as a strong genre in the Ghanaian music industry. 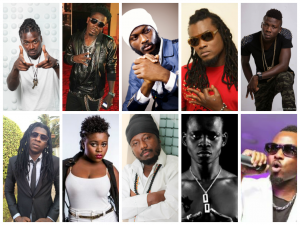 An array of artists have graced the genre in Ghana, over the years we have known a lot of good artists like, “Yoggy Doggy, Soni Bali, Root I, General Marcus, Sammy B, Abrewanana, Mad fish, Batman(Samini), Bandana(Shatta Wale), Screw Face, Stonebowy (Burniton), Atumpan, Kakkie, Shatta Ranko, Episode , Selah Berma (AdiBaritoner) Buddha Man, Dj Buddy and many other more.. But at the end of the day only one deserves the accolade of “King of Dancehall” in Ghana. Interestingly, the banter of who is the Dancehall King in Ghana stirred up after some recognized artists started their self-glorification of that accolade in their songs. 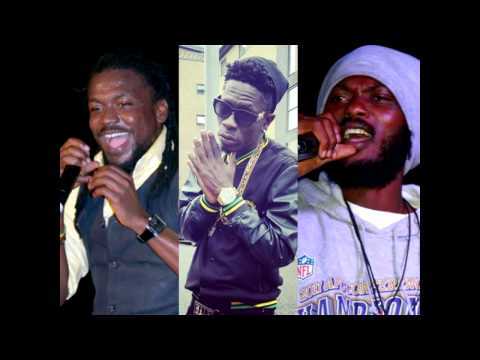 One artist claims he is the African Dancehall King, another says he is the King of Ghana Dancehall and others say they are the best in Ghanaian Dancehall. Well such self-praise is very much accepted in music. As an artist you can call yourself whatever name and titles are free so you can give yourself any title you want and push that assertion into the minds of your fans. Let’s us put all the self-glorification aside and try to the name the Dancehall King in Ghana based on industry based criteria such as “ originality, impact on culture and society, awards, longevity, relevance stage presence and influence on the industry. The Dancehall King must possess some originality that makes him and his music distinct and stands out from the rest, because it is these way that makes the artist identifiable. You can’t claim to be the Dancehall King when you have not survived few years of churning out hit songs, gracing high profile stages and having a formidable fan base. You surely must have gained enough recognition in the industry and genre as a whole. Being the best means you must be able to rock the stage and his performance should drive the crowd berserk and his exit should leave them wanting more and more. The King must have paved the way for one or two credible performers in the genre, He must have encrypted his name in the books of Ghanaian music. When his name is mentioned he should exude inestimable pioneers and upcoming artists within the industry. SO WHO IS THE “DANCEHALL KING “IN GHANA…?